The Middle Kingdom is sailing through rough weather and we may soon witness more fireworks. 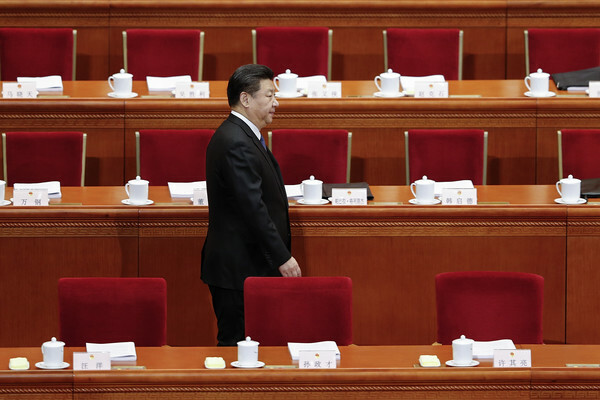 Yu Zhengsheng, a member of the Politburo’s Standing Committee, opened the fire against Xi on March 14 during the concluding session of the CPPCC. During his concluding remarks, Yu deviated from the official line. Apparently, the Communist leadership had agreed to uphold ‘Four Consciousnesses’ that is ‘of politics, the bigger picture, the core and consistency’. What about the ‘consciousness of the core and the consciousness of consistency’ projecting Xi as the ‘core leader’ to be followed by all in the Party. Every good member is supposed to praise ‘the core of the Chinese leadership’ (Xi) and have some ‘consistency’ in following ‘the core leader’. According to the Japanese newspaper, Yu once told some followers that his role in the Party is that of a ‘balancer’; Yu’s role is to mediate any feuds that might break out among Communist Party factions. Incidentally, he also looks after the United Front Department, whose role is to ‘unite’. In his opening speech on March 3, Yu had mentioned that differences of views and perceptions can arise over specific issues and he stressed the need to seek ‘consistency’, while respecting ‘diversity’. 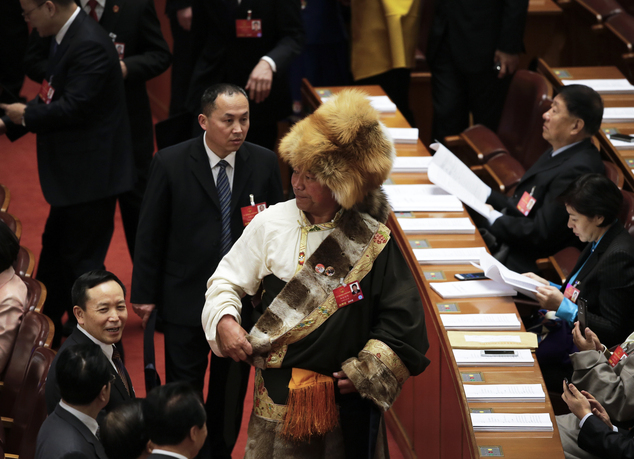 Interestingly, Yu is in charge of Tibet and Xinjiang affairs in the Standing Committee of the Politburo. Mingjing, a Chinese publication asserted that the open letter attacking Xi Jinping and asking him to resign was first published in Wujie News (Watching) website in the Xinjiang Uyghur Autonomous Region. It blamed Xi Jinping for many negative events in China and called for him to step down. It was of course quickly removed from the Wujie website. Wujie claimed that article had been posted by a hacker. Wujie is a joint venture of the SEEC Media Group Limited (the parent company of Caixing magazine), the Xinjiang Government and the Alibaba Group. Zhang Chunxian, the Xinjiang Party Secretary is on the publication's board (incidentally, Wang got his job thanks to Zhou Yongkang). With Alibaba hosting the site, it is considered the safest hosting service in China, further the state Cyberspace Administration didn't find any sign of a hacker intrusion. Could have Wujie published the letter on its own? The website was subsequently shut down for several days. The Mingjing You Bao (Mingjing Post) provides the name of the officials behind the Wujie media group. Jiang Jianguo, the Deputy Director of the CCP's Propaganda Department: Wujie's CEO Ouyang Hongliang is a confidant of Jiang Jianguo. Jiang and the disgraced Ling Jihua both got their part-time Master's degree from Hunan University. Zhang Chunxian, Xinjiang Party Secretary. Zhou Benshun was Zhou Yongkang's loyalist. He once served as the Secretary-General of the Political and Legal Affairs Committee where Zhou Yongkang was the head. Wang Boming, the Chairman of the SEEC Media Group Limited: Wang has a brother, Wang Dongming, who is the former Chairman of CITIC Securities. Wang Dongming was forced to resign after many high ranking officers at CITIC Securities were taken down for their involvement in the stock disaster in 2015. Liu Lefei, Vice Chairman of CITIC Securities: Liu is the son of Liu Yunshan who is a member of the Politburo Standing Committee and in charge of the propaganda work for the CCP. Are some of these officials behind the publication of the letter? But obviously, Xi Jinping does not have only friends and comrades in the Party. Are the above ‘waves’ connected with some strange happenings in Tibet? According to the website Chinascope, Jamphel (alias Jambay) Gyatso, a Tibetan scholar recently published two articles criticizing two Chinese officials, Ye Xiaowen, the former Director of the State Administration for Religious Affairs (SARA), and Zhu Weiqun, Director of the Ethnic and Religious Commission of the CPPCC and former interlocutor of the Dalai Lama’s Special Envoys. I briefly mentioned it on this blog in December 2015. Both Ye and Zhu have had close connection with Beijing’s Tibet policies. Instead of separating religion from governance, Ye tried to replace Tibetan Buddhism with a new orthodox religion: the will of the Party’s religious office. Ye’s new policy of ‘certifying’ Living Buddhas led to corruption in the Buddhist temples. Zhu tried to escalate this simple event to the level of the political, linking it to Tibetan separation. It is rare for a scholar to openly criticize the CCP’s official religious policies. More interesting, Gyatso’s critics appeared in The Paper which appears to have close links with Xi Jinping and Wang Qishan. The Paper reported on February 22, 2016, that Ye Xiaowen was removed from his latest official positions as the Party Secretary and Deputy Director of the Central Institute of Socialism. I have earlier mentioned the role of Ye in selecting the Party’s Panchen Lama. the ultimate goal of the CCP, as the representative of the Chinese proletariat, was to realize communism and eradicate capitalism. …the elimination of religion and any concept of gods and higher beings is a fundamental duty of the Party. In the ideological battle, the Communist Party was to ensure the triumph of Marxist atheism. …Why would the Chinese Constitution grant freedom of religious belief when the Communist Party fought for the ultimate eradication of religion? At the time of the Cultural Revolution, there were more than 50 ethnic minorities spread out over large segments of the country. Most of them had their own religions. … Any problem with religion could easily trigger conflicts between ethnic groups. …there is a hidden danger that such conflicts could disrupt the state. So the religious policy of China needs to fit the situation. In order to prevent religious issues from triggering conflicts between ethnic groups, to rope in minority groups, and to convince people in religious circles to join the ‘united front,’ the CCP included the freedom of belief clause in the Chinese Constitution to accommodate the religious situation in China. This was the mission of SARA to weaken religions while recruiting religious leaders to serve the Party’s agenda of regional stability. Ye boasted about the CCP’s ‘wisdom’, that is, how the Party used the velvet glove. It bribed and coerced key religious leaders by giving them high ranking official titles, money, privileges, and fame. It relocated them to desirable homes or even to the central government compound, while, at the same time, using ruthless measures against religious dissidents. “Giving high ranking official titles, money, privileges, and fame”, is not new. It has earlier been practiced by the Ming and the Manchu Dynasties. disobeying the CCP’s religious management is an act of disrupting the state. Religions that followed the CCP’s leadership would be recognized as patriotic religions. All others were considered secessionist. I mentioned on this blog, the video circulated in China in November 2015 about Zhang Tielin, a famous Chinese actor who became a ‘Living Buddha’, courtesy his guru Padma Woeser Rinpoche. Zhu Weiqun, in a TV interview had said: “A fake Living Buddha might endanger national security,” while Ye had commented that the only way to be able to tell a real Living Buddha from a fake Living Buddha was whether they followed the State Council’s Regulations on Religious Affairs (in other words, if he follows the Party). For any activities that violate this regulation and [if any person] claims to be the reincarnation of a Living Buddha on his own, the government religious affairs office can issue administrative punishment of the responsible individual or responsible organization, following the Regulations on Religious Affairs. Anyone who has committed this crime should be held for criminal charges.’ This is the law to attack fake Living Buddhas. In other words, only Marxist Lamas can be Good Lamas. In the name of the action of cleaning temples and cleaning Buddhas, Ye Xiaowen created a certification process to issue a ‘Living Buddha Certificate’. However, neither temples nor senior monks could determine who was a Living Buddha. Ordinary monks, nuns, or the general public did not have the right to ask for it either. Who made the decision? The government religious affairs offices at different levels did so. They reviewed, approved, and then issued this Living Buddha Certificate. And the trick is played. It is the way the 15th Dalai Lama will be recognized, if nothing drastic happen before in Tibet. an administrative system over the temples and defined the ranks and positions for Living Buddha, such as county level Living Buddha, prefectural level Living Buddha, and provincial level Living Buddha. He also defined which level of Living Buddha could serve as the National People’s Congress representative, as a CPPCC member, and as local members. Nowadays, there is an issue that draws our attention. More and more people care for and love Tibetan culture, believe in Tibetan Buddhism, and long for Tibet, the world’s last and most holy piece of pure land. We must further promote and strengthen the friendship between the Chinese and Tibetan people, further safeguard the unity of the motherland, and further strengthen ethnic unity. This is the main theme and the general trend. We absolutely must not allow the creation of confrontation, conflict, and estrangement between the Han people and Tibetan religious believers. Only Zhu Weiqun, with his vision and insight, saw that these two engaged in ‘separatist’ activities and endangered national security. Unfortunately, Zhu did not continue to investigate their problems further. Instead, he changed the subject so as to target the Tibetan regions, the Tibetan people, and the Tibetan lamas. Comrade Zhu, do not wield the stick of ‘anti-secession’ against the Tibetan people. …You should know that this in itself is the greatest separatism; it is ‘endangering national security’; it is destroying reunification of the motherland; it is destroying Han and Tibetan unity; it is undermining national unity; and it is sabotaging stability. History will condemn whoever does this! Indeed, we may soon have fireworks in Tibet too.